snog, hog, log, grog, dog, this is my BLOG!!! Some things just don’t change…or do they? Tales of Tofu. …………………………………I dedicate this post to Tra! She will know why! “…….I hope it isn’t delivered in an open bed truck and pitched into restaurant tubs with a shovel. We saw this when we first got to Beijing in 1994.” Judith C.
It’s 2019, 25 years after a dear friend witnessed tofu being….well….read the quote above! I arrived in Beijing two years after, in 1996…..not sure tofu was treated any more delicately then, either. Here I am in Hanoi…..25 years after Judith was aghast with that scene of tofu being pitched and shovelled…… Well, I do not see shovels, and the tofu you see in the photos below will most likely appear on the corner of Xuân Diệu and Tô Ngọc Vân…or some of the local markets and small restaurants, for that matter. Times change? Not that quickly. So, what about the photos? I see this scene every morning in my small village…. on my way to work…..it stirs my appetite, of course…I LOVE tofu! I scour it with boiling water and make sure I cook it well…….it hasn’t killed me…….yet! It feels quite unusual at this point in my life trying to convince myself that the 25th of December means only one thing to me. It means many many things, as does the 25th of November or the 25th of June. Keep reading and you will see how blessed I feel today on this, one of the most earmarked days of the year all over the world. Many years ago, after having picked up roots and moving to the other side of the world, Christmas started to mean something quite different to me and my immediate family. It was the beginning of a new understanding of what it meant to be alive on December 25th. Gone is the stress of Christmas shopping. No need to give gifts to show how much I love someone. Gone is the debt left behind due to the pressure of the commercial meaning of this special day. Consumerism is just NOT my thing anymore. I have enough…..I don’t want nor need more. Gone is the feeling of rush, the build ups and the let downs that often accompany the tradition of giving gifts and maintaining tradition for the sake of tradition. Gone is the overpowering let down I used to experience since I was a kid. The ‘what did YOU get?’ The wanting this, the needing that, the the knowing that my mom tried so hard to keep up with it……..I am sure she would agree with how I perceive this date at this point in my life. She probably would have lived a few more years if she hadn’t been so pressured to provide what was, as I know now, never really necessary. This list could go on, of course, and I won’t continue to try to explain how I feel about Christmas. It isn’t the same (for me) and I am completely ok with that. I see this world in a very different light, and I think I have been a bit of a catalyst in the way some of my family and friends see it as well. HERE to stay is the wonderful feeling of seeing others begin to feel unstressed and at peace with not getting ‘caught up’ in the grind, yet still feeling the love of family and friends….just in another way. It’s all about QUALITY TIME with my loved ones…..being Dad with Sarah, Eike, Oliver and Jessie (and keeping a photo of Anna on my iPad screen because she can’t be here)…being Grandpa for my lovely grandson, Amos and continuously feeling so fortunate to be able to do it. HERE to stay is my routine of spending quality time with my kids….my friends!, all the while making sure I see more of this amazing world. I woke up this morning, on the 25th of December, in a cozy little corner of a riad in Marrakech, Morocco, where I am so fortunate to be spending time with some of the people I love the most in the world. Sharon, Eileen and Oliver and Jessie….four connected adults of my ‘family’ who are also feeling the same way I am feeling. We are, all four of us, being blown away by the wonderful hospitality of the local Moroccans here in the Medina of Marrakech. Our riad is simply beyond explanation. Eileen will always have a ‘red door’ story/feeling to tell, Ol and Jess are lapping it all up (they got the honeymoon suite of our riad! ), and Sharon is counting down the minutes to when she can enjoy the relaxing hammam where she will pamper herself…..a gift to herself that she so deserves after having slaved away at home in Paris in her boutique. The call to prayer this morning was my cue to get up, light the heater (a café/ski resort heater). I can’t begin to say how the call to prayer touches me. It sounds like this. It’s a special moment for me….but that’s for another post. Our housekeeper, Touria, is busy making freshly-squeezed orange juice and coffee and it will be followed by a wonderful Moroccan breakfast when the five of us will sit together to share our morning meal, chat, laugh and love each other…..just being ❤️🙏. When the sun comes up, we will take our coffee to the rooftop of our riad, sit in the crispy sunny morning and finish our coffee and plan our day…..a day in the souk…..much fun to be had!!!!! To wrap up this post, it will suffice to say that the rest of our holiday will be spent seeing more of Morocco, after which, we will board our respective planes and fly to the four corners of our world that we all call home….California, Nova Scotia, Paris, and Hanoi. Holiday done, Christmas observed in OUR way, and our souls and hearts will be refilled, replenished and revived. We will welcome January 1 in our cozy seats of our airplanes and begin 2019 refreshed and fulfilled. So, to my family and friends who are busy celebrating their holidays, I wish you much love and good health….Merry Christmas if you are celebrating Christmas, and Happy New Year! I will leave by adding a couple of pics which might give an idea of how much fun we are having! I work, I play, I rest. I woke up this morning after a busy work week, made a cuppa good coffee and read for a while. I like to read in the mornings…..the mornings are quiet, the mornings are empty and, most of all, the mornings are MINE! In fact, all of my time away from work is mine, and I think I have learned how to use it well, to establish my balance. Having read sufficient amounts of interesting articles and opinion pieces from my favorite sources, (Medium iPad App, JSTOR…email feed and The Economist [thanks Elliott], to name a few) I felt inspired to write in my blog while the roosters and my neighbours in my alleyway wake up. I have chosen to respond to two sources this morning; sources that have inspired me to self-affirm and to want to know more. My first source by Junaid Mubeen is entitled Why ‘Sleep on It’ Is Our Most Useful Advice for Learning . I suggest you read this with a good cup of tea. Although much of what he recounts in his feature story is not new to me, in terms of how students need appropriate sleep in order to learn well and be more effective problem solvers, there IS on bit of information that jumped out at me and made me notice. I use the term ‘notice’ frequently. Thanks, Paula Wilcox, for your kind word. Let me preface the supporting detail for my previous conclusion by saying that I am soon to be 60. I am Fifty-eight years young, but my body thinks it needs to go its own way….down a path that includes inexplicable, and not very helpful sleep patterns. I find myself needing less sleep, and often awake at 3 a.m. or even before, wondering how I am going to make it work since I like to start my day at 5 a.m. I think I have found a solution. I am going back to napping! Over the past few years I have been really enjoying my 20-minute power snoozes after coming home from school. They seemed perfect for recharging me enough to last until 11:00 p.m. or even later, so that when my alarm would sound at 5 a.m., I have had my needed six hours of good sleep. I sleep well….when I sleep. So, having pledged to go back to napping, and no longer worrying that I would nap too long, I will take heed of how Thomas Edison made power napping a craft! He had balls! Thanks, Thomas Edison for being such a smart guy! Having shared my thoughts on sleep, you may now wonder how I will attempt to bring the concept of laziness into this picture. Hold on……get more tea and come back for another installment of what’s going on in my mind. ……….I have never been accused of being lazy, except by one person whom I have forgiven a long time ago simply because forgiving means you can let go. Sorry…not going there…that’s maybe for another post. I like to think that I am a productive person, I push myself to admirable and constructive limits, I inspire others to go the extra little bit, and being an ex-Virgo (Buddhism has helped me shake the Type-A title), I like to think that there are good reasons why one should not be lazy, or at least embrace laziness and find a new term for it. So often, especially here in Hanoi, people ask me why I tend not to take taxis or why I prefer to be a passenger on a motorbike through all kinds of weather. Some of my friends and many acquaintances marvel at the fact that I usually walk wherever I need to go. My weekends can clock up to 30 km if all is good. With new orthotics and proper walking shoes, there is no stopping me! To answer these queries, I simply mumble something about ‘awareness’ and ‘mindfulness’; not too loudly, of course, because many of the people who question my antics are NOT those who would feel comfortable subscribing to the ‘awareness’ or ‘mindfulness’ ideals-nor are they walkers. And that’s ok, too! This morning, during my quiet reading-Kairos moment, I came across a nicely written article by Pema Chödrön, a Buddhist nun whose wisdom I like to follow. Her article The Three Kids of Laziness sums up how I feel about being lazy. I tend not to call it laziness, and you’ll figure out why. It will only take you a couple more sips of tea to read her thoughts about all this. I come to the end of her article which shows me the transformative nature of experiencing laziness directly and nonverbally….through meditation, mindful walking, and experiencing every drop of rain, gust of wind, or wonderful smell of street food while on the back of a motorbike. Most of all, it encourages me to dig out my copy of her book The Places That Scare You; A Guide to Fearlessness in Difficult Times, and reaffirm the fact that I am OK; I am a 58-year old single, balanced, napper, walker, grandpa and, most of all, thinker! It’s Monday morning of the Moon Festival….it’s officially Mid-Autumn and there are mooncakes to be had….everywhere! I am tired a bit, but all for good reason(s). This weekend I was out walking and exploring as I usually do, taking in the sights of the festivities all over Hanoi. My camera has been working overtime. I have had my fill of street food and now it’s time to get back to my work week. I planned a ‘special shot’ this weekend. I have always wanted to get to the Ga Long Biên (the word Ga comes from the French, gare- train station) as the sun was rising, to see if it could peek through the very end of the Long Biên Bridge and show its splendor. I am pretty sure I succeeded, but it meant getting up at 4:45 am, preparing for my day and walking to the area of Ga Long Biên. It was such a great time to be out and around. The streets were quite empty…the noise level was low, albeit on its way up to the noon-time drone’ish sound of motorbikes and industrious people. I stopped and had a nice cup of the best coffee around and then made my way to the top of the winding stairs of the Long Biên rail station to wait for the sun. Bingo! The traffic was forgiving, the train did NOT come at that time, and I got my shot. No sooner had I taken my shot, the train came through and there was a long trail of motorbikes coming from the other side of the river, in Long Biên. Had to share! Proud of my determination, and happy to have taken a couple of naps yesterday afternoon to recuperate from the weird hours. If anything, I have learned that persistence pays off once again and it’s a privilege to wake up with the Hanoians as they get themselves ready for their day. I love Vietnam! My last several days have been spent at a Wisom of Education Summit at Wesley College in Melbourne, Australia. During one of the sessions on a Sunday morning, I participated in a workshop session that was focused on Creative Thinking in the Classroom (Ben Reeves, Wesley College). During the workshop we explored how to develop questions that would help ease tensions that negatively affect classroom culture and the learning that happens within that culture. I was asked to respond to the following prompt: What ship are you on at the moment? Spend some time to write about your old ship and your current ship…possibly your present ship. I took it literally. I remained engaged and wrote metaphorically which, to the amazement and silence of the room when I read my story, prompted Ben to ask permission to put my ship in the bottle of pedagogy, with hopes of sharing it with his learners at Wesley. I share it today with you, my readers, as I tend to share most of my writing. On my old ship I was the galley hand…I cooked the meals to make everyone happy and give them full energy to help the ship go forward. (Pd, workshops, mentoring teachers, making my childhood and erstwhile teachers happy—- by being a good boy. I cooked the meals that everyone liked, but as my ship went into different ports, it was difficult to find the ingredients that pleased everyone, not excluding my Captain. It was a dark yet rich environment….the richness of the spices and the smells of old rope, mixed occasionally with the smell of tears of dissatisfaction from the crew. There were meals unfinished, and often there were even leftovers. (Evening discussions, small meetings, rants, supporting students in teachers’ classrooms, and often helping out in the library when I was little.). I even went to church to please my family and to be a good boy for God! The ship that I am on now holds me in high regard and I have a much different position. I am still creative and I understand how my current ship works, so I make sails. I make mainsails, jib sails, and even cushions so that the fat arses of some lazy crew can rest and watch the waves. I know how durable and sturdy the ship’s sails need to be. It’s my craft. I continuously look for ways to embellish my sails and make them multi-purpose. At times, I make suggestions to my captain as to which sail might get us through some different types of winds- gales, gusts, strong nor’Westers——even when we’re in the doldrums– when there is no wind. It’s important to maintain the sails, keep them safe from gnawing rats and various other forms of destruction. A lot of the direction of the ship includes me and I have a feeling of belonging and usefulness in my role of sailmaker—sometimes referred to as a shaper. The Bluenose II……the ship I call home. Built in Nova Scotia–the most famous ship in Canadian history. People from Nova Scotia (such as me) are lovingly referred to as Bluenosers. Life is so full of moments, both Chronos and Kairos: awakenings, amazing moments, incomprehensible reality, and, of course, Death (I will allow her an UPPERCASE letter as a sign of respect). We tend to go on our merry ways through life not really noticing how all of those moments come to collide or bounce off one another as we go through the years; as we mature and prepare for the end. This post is not going to be about that. It may reflect a somewhat serious undertone; however, I would like to think it’s more on the, ‘Wowwwwww, cooooool, and ‘#dafuk . That being said, just sit back, spark up the vaper or brew your caffeine-free tea of choice and come for the ride. I have never written about this part of my life. Even though I have volumes of leather-bound journals and assorted ‘special’ books in which to document my life, this never made it to print….not even a smidgen of a reference to this time of my life. I was between universities at the time. It was 1981. I had finished my BA and just begun my BEd. when I realized that I was not happy with the status quo. I didn’t feel that I belonged at the university where I had enrolled. I wasn’t sure I was getting what I liked from my courses, so I withdrew after having completed the first semester. I waited out the academic year and in the fall enrolled in, what I expected to be, an ideal university for me. Bingo! Paydirt! I loved it! Saint Mary’s University was where I was going to complete my Bachelor of Education. As a result of having taken the second semester off, I had time on my hands. Time to give. I was gainfully employed with VIA Rail and doing well financially, so giving was my goal. Pay it forward! My giving took form: Itinerant Teacher at the Teen Lounge of the IWK Grace Maternity Hospital in Halifax. My training as a volunteer was rather quick and intense; however, I felt inspired and scared by the situation and looked forward to my one-to-one relationship with Jonathan. I was his ‘Math Teacher’, but knew nothing about real teaching. I had been in some interesting roles before this, but let’s remember….I was 21. I was trying to figure out if I really wanted to be a teacher, and my work with Jonathan was meant to enlighten me. It did! I loved it! Then and there I realised that I would be a good teacher. It was during my volunteer training that I was honest enough to ask the Supervisor of Volunteer Services (or whatever it was called then) if she had any resources or advice to give in terms of the task ahead of me. We will call her Shirley, only because I really don’t remember her name. I remember her, though. She was an inspiring person, an ‘A-Ha!’ for me. She explained to me that she was not a teacher, but she shared with me three very important mantras that I have kept with me since I started teaching. Shirley meant business in her chat, but I didn’t really take it as orders or a proverbial Riot Act. She simply thought that I was listening to her. And I was. It was immediately afterwards when I was introduced to my student, Jonathan. Jonathan was 13 and he was a permanent fixture in the Teen Lounge, be if for his lessons or just to hang out and do other things. Unfortunately for him, hanging out and doing other things meant chemo, blood work, rest, and forcing himself to eat. He often had night terrors. Jonathan was terminally ill and knew it. I had a feeling that Jonathan was not from Halifax. I never found out. The very first meeting with him was brief but meaningful. My very first evening back on York Street was spent thinking, ‘how am I going to help this boy grow? He’s ready to die!’ I had no idea that this was going to be my task. The next day I was able to get past Shirley’s secretary, but not without explanation. She knew why I wanted to see Shirley -to talk more in depth about the reality of me working with a terminally ill teen. As it turned out, Shirley was not surprised to hear from me. She was surprised, however, that I was NOT going to quit on her. Here’s where the connection comes in……..are you ready? Shirley had been prepared for me. She handed me a mid-sized hard cover book and told me not to worry about the teaching part–that will take care of itself. On Death and Dying, by Elisabeth Kubler Ross(1969) was her offering. Shirley handed me a self-help book. I couldn’t believe it! ‘There are only five things you gotta know about it. Keep the book for as long as ya need it.’ Then she left. What about those five things??? What did that really mean? On Death and Dying was a quick read and a very meaningful one. Unfortunately for Jonathan his leukaemia was taking him, but taking him slowly, which was difficult at so many levels. It was difficult for both of us. I kept going back for the next few weeks and we started to get to know each other, but it did not take him long to be too sick and tired to learn. I was asked if I would like to stop volunteering and I took that as a message: They didn’t need me anymore. Jonathan did not need me anymore. Not a few days after that, Jonathan passed away. There was no need for me to keep helping him grow. Back to helping me grow. I got busy with VIA Rail, taking extra ‘bids’ from the bidding board for summer employees, and the fall came. I was back at school. I wa becoming a teacher. It was in April, not too long after Jonathan passed away, when I gave Shirley her book back. I can’t tell you how many times I read it, but I think it was more than twice. There was something about it that drew me back. The book laid out for me the five stages of dealing with death: denial and isolation, anger, bargaining, depression, and acceptance. That’s the last time I saw Shirley, the last time I saw the Teen Lounge, and the last time I ever worked with a terminally ill child. But not the last time I read On Death and Dying. It was the first time, however, that I really felt like an adult. For me, it was a coming of age that I was not ready for…..or so I thought. I was involved in a ‘real life’ kind of thing. It was also the first time I knew that I wanted to help kids, and it was definitely the first time I got to know about child mortality. I wasn’t sure what to do with all of this ‘life and death’ stuff. Nobody else at York St. knew Jonathan, or at least it seemed that way. I didn’t talk much about him. We had so many things going on at that place. Maybe Debbie did….she was nursing at the time, but I am sure that everyone else was too involved with living. I apologise if I am misremembering! I am sorry if I underestimated what others were thinking. So……today……………….it is thirty-seven years ago TO THE MONTH, that I learned about Elisabeth Kubler Ross and read On Death and Dying. I have been teaching for thirty-six years and have traveled the world quite a bit. I now live 12, 625 km from Halifax in a tropical climate and am happy to be teaching where I do. I am single, my kids have all grown up, and I am very soon going to be a grandpa for the first time. It’s all GO at the moment, but that’s the way we roll in my family. I have seen things, people and ideas come and go for whatever reasons, and I have become accustomed to that. My parents are not longer alive, and I have lost friends and even small children from my life. I have been through change many, many times in schools, and have grown to accept what change means. I guess you are wondering why I am going on and on about this: what’s the point? Where this is leading? Well, to be honest, I tend to think that everything happens for a reason. Things come full circle in life. My tech skills are quite ok and I will admit that I use Twitter….no big deal there. This afternoon I opened a tweet from a very good friend and it resurfaced Elisabeth Kubler Ross for me once again. Thanks GB! I immediately looked back 36years. I am so thankful for having known Jonathan, for without him I would not have known Kubler Ross, and I would not have anything to offer my current grieving friends at work. They are experiencing a sort of grief that happens when change comes quickly. It is not the time to push On Death and Dying; on the other hand, The Grief of Accepting New Ideas (Rick Wormeli) https://www.amle.org/BrowsebyTopic/WhatsNew/WNDet/TabId/270/ArtMID/888/ArticleID/911/The-Grief-of-Accepting-New-Ideas.aspx) is probably much more appropriate, or maybe even Stephen Covey’s The Speed of Trust (http://www.speedoftrust.com/how-the-speed-of-trust-works/book). By the way, thanks MV for jogging my memory yesterday. I have your back! Holy schmoley……I can’t believe I didn’t post this when I had written it. Once again, it seems that today is another one of those days when Nova Scotia is calling my name……so here is what I had written….five years ago. Today I shed a huge tear….a tear for Raylene, a sigh for Rita who both passed away in the past year. 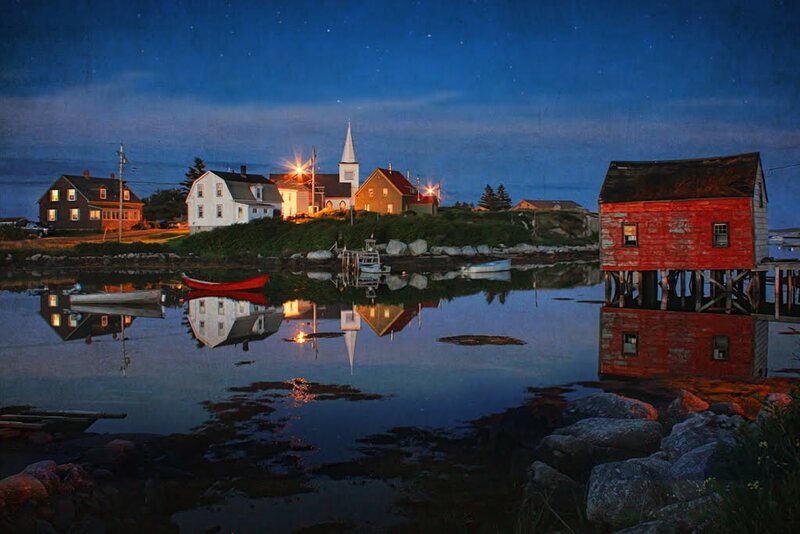 It is times such as these that take my heart and soul from Brussels and lands them on the rocky shores of the Atlantic Coast…to Cape Breton, to Halifax and to all of the little nooks and crannies that still remain the jewels in the crown of my beautiful home. Here is a wonderful rendition of We Rise Again, sung by Rita, Anne, Raylene and her wonderful family…..The Men of the Deeps and The Nova Scotia Mass Choir and many more. We will all rise again in the faces of our children, in voices and in the waves out on the ocean……..I firmly believe! If this doesn’t make you stop and take count of what is good in our lives, I am not sure what will. I dedicate this to all of my fellow Bluenosers overseas………..when you can’t get home to soothe your soul, this will take you there. It seems to creep up on my every year, but the anniversary of the Halifax Explosion, an explosion that rocked the world of the WWI era citizens of Halifax, my home city, will continue to follow me wherever I am in the world. This year is the 100th anniversary of this ‘largest man-made explosion prior to Hiroshima’ (http://bit.ly/2kakypF). Wednesday morning at 5:00 am, as I started my coffee-induced day , I was stopped in mid-slurp by a very moving video on my Face Book page. The video inspired me to write poetry. Once again, a boom, a bloom and a secret room. Incidentally, if you don’t know what blooming and booming refers to, go here. Peace, Calm and Joy……Getting Back To My True Home. Over the past few years thanks to my Eileeniebeanie, I have been getting closer and closer to finding my true home with the help of Thich Nhat Hanh. However, more importantly, lately I have been enjoying peace and I have known calm and I have felt joy while much of what is happening around me has potential to make me angry, stressful and forgetful. I am sharing with you, my readers, a way forward so that you can be a Master of the Bell. Thich Nhat Hanh has always had an aura of love for his followers. He is easy and enjoyable to listen to and emits peace and calm and joy as I watch him deliver his teachings to me. His words can be separated into Teachings and Actions. I hope that by sharing this message, you will find be closer to finding your true home. It is such a busy time when it is the first day of school, and I am not sure how much of my personal energy I can afford to put into this idea, but there is something that must be said. If you are the kind of person who wonders about everything and who keeps an open mind, this post is for you. Read on and enjoy the photos. Birds have always amazed me. They can be as aggressive as they can be timid, and as curious as they can be aloof. I have had feeders and have grown bushes which have attracted the most amazing birds; cardinals, sparrows, crows, cabin jays, blue jays and, not to forget our ocean rats, the seagull. I have always been a passive participant in my brief encounters with birds, but today it changed! I arrived at school this morning on tail end of a huge monsoonal downpour. The nice thing about being out in such rains is that the greens of the plants are astounding in such rainy lighting, and the water-laden fronds of the banana and date palms nod their delight to the bullet-sized raindrops. They get cleaned and are ready to start another sweltering day. Dressed in my purple rain poncho and helmet in hand, I was walking by the communal garden at school when I noticed a small sparrow sitting on the wire fence of the garden. It was squeaking at me, almost telling me how happy he was that the rain had briefly stopped. I noticed that the bird was actually watching me and letting me know how he felt as I crept forward. To my surprise, when I extended my hand for him to ‘come sit and chat’, he took me up on my generous yet risky offer. No sooner had he hopped into my hand and established his perch on my index finger, he burst into a story of epic proportions. He and I squeaked and chirped at each other and to each other for nearly 15 minutes. It was just the two of us…nobody else. I am usually among some of the first people to get to work, meaning that it is not unusual that I am the only one walking across the courtyard in the peaceful morning quiet. For the best part of a half-hour, I became friends with this bird. Our intimate dialogue came to an end when a colleague appeared with her camera to document what she couldn’t believe she was seeing. In a few flicks of her camera and a couple of giggles, the bird chirped a couple more times while looking at me and quickly flew back towards the garden. When I came home from work, our 89 year-old Grandfather was waiting outside our foyer by the fish pond. I couldn’t wait to tell him what happened. He is always interested in me and what I do and where I go. He is also a devout Buddhist and can provide hours of interesting chat in broken English, French or Russian, not to mention Vietnamese, his mother tongue. We get most of our communication done via English, Vietnamese and French. He took great interest in my tale and photos and then let me know exactly what he believed happened to me. He proceeded to tell me that birds are amazing creatures and that they have much to share with people from the shamanistic traditions of the world. He believes that they are quick thinkers, happy in their natural environment, and bring powerful joy to those who are open to listening to them; open to receiving their messages. To end our talk, he took me by the hand as he patted it on my own knee and told me the following. I’ll try to paraphrase. Hummmm….I can’t tell you how touched I was by all of this. Grandfather also said that he thought I would be wise to listen to what that little birdie told me. I am not sure if many of my readers would agree, but there are moments and there are times. There are wonderful moments in our lives that we never want to forget, such as conversations with the ones we love, moments of passion, or a celebration. There are also times that nag us; time to get up, a deadline, or a time of death! That being said, there are specific times that we never want to forget, such as 4:44 (here’s to you Sponsie!) or the exact time of the birth of a child, and moments that we wish we could erase from our memory– they were so tragic; moments that have scarred us for life or have inevitably left us broken and weak. In order to explain my attempt at differentiating the concepts of time and moments, it is worth knowing about chronos and kairos, which will help us understand more about time and how to appreciate the concept more. We have choice in how we view time, but better yet, we have a way of explaining our thoughts about time. I will refer you to a very interesting article written by McKinley Valentine, writer and editor of The Whippet. It’s a blog McKinley loves to write because, as she puts it, ‘It’s a combination of my own writing and links to interesting stuff I’ve been reading about, with absolutely zero mention of Trump or any other contemporary politics. She was initially thinking of calling it ‘The Reprieve’–ha! Ms Valentine does a stellar job of explaining the difference between chronos and kairos. It really IS worth reading. It is guaranteed to offer you a very refreshing and uplifting perspective of how you spend and understand time. So, sit back, get that cup of tea and prepare yourself for a great read…….now! Great! You’re back! I hope your had an enlightening moment while reading her blog. I will now tell you how I spent a wonderful ‘perfect moment’, a kairos moment, while on my hike today along the ocean. I walked a path with my super walking mate, Angie, along a slightly gravelled trail which cuts through heath and scrubby trees to beautiful Wagner’s Beach. Wagner’s Beach is rich with rounded beach stones, which have, in the past, been the building stones of many of our Village’s fireplaces, as well as essential for weight in old wooden lobster pots. We scrambled slowly towards Wagner’s Head, the edge of land which juts out into the Atlantic Ocean. It is invariably an area that is very dear to my heart. Prospect has offered me a lifetime of times and moments, but today I can really say that my moment of kairos with Angie was, indeed NOT a time. It was a perfect moment. To what can I attribute the perfect moment which represented a collusion of Mother Nature’s best: good weed, walking sticks, almost a dead body (note I did not say an almost dead body) and sunshine? Well, it was due to being able to put all of this into a Zen framework; to decide that THAT was the right time to go on that hike, Angie was the right person, and Wagner’s Trail was the right place. I remembered that my kairos moment could come from observation, reflection, discussion, planning, accountability, and action. And it DID! Now, some of you might think, ‘hey, isn’t that some kind of ‘God’ thing? It may well be that the Bible tells of Jesus’ first recorded sermon in Mark 1:15 as an example of a “Kairos Moment”. So be THAT! (said with a dismissive , whateverish kind of tone). I think that Jesus could have been a cool weed-smoking trekker with awesome friends and a keen skillset for picking the best places to walk. However, I would rather de-Jesus’ize the whole concept and refer back to how the Greeks portrayed kairos in their writings and art. Angie and I did pretty well in enjoying our kairos moment and living that moment to the fullest, despite religiosity. I give thanks for having what I have and knowing that I will have many more kairos moments………. now that I know how to understand time better. Voilà, a true perfect kairos moment. Don’t ask me how long it lasted…I would have to get ‘all Chronos-y on y’all’. It wasn’t too many years ago that I really took my poetry seriously. For me, writing poetry was just something I did; something on which I eagerly spent some of my free time. Over the years, writing poetry has become something I run to do….I have bursts of ideas, urges to stop, drop, and write it down…… and plenty of human condition to work through. Writing poetry permits me to do just that. I recently came across a cool way to understand what I do. I will refer to Allan Wolf in his book, Immersed in Verse. He has cleverly coined Blooms, Booms, and Secret Rooms as his analogy of what happens to poets; what happens to me! ‘Poems are everywhere. They lurk at your elbow, waiting for you to discover them. The bloom is what catches the poet’s eye. The boom is what explodes in the poet’s mind. The secret room, with its magnificent views, exists in the poet’s heart. How beautifully said Mr. Wolf!! I am, at the moment, flooded with blooms. Life has its way of nudging gently or forcing us mercilessly over those often slippery stepping stones which lead the way across our occasional turbulent river. The river that demands human condition on each of its tiny ripples, swells, and every one of its white caps. I am on the top of a white cap at the moment and learning more about my human condition than I had ever thought to have done. With its darkened hue, shouts its words. No longer takes gentle pauses between its words. Perceptions have changed, meanings have shifted. I can’t manage my booms; ‘No vacancy!’, moans my secret room! Nowhere to hide now dear Durian. That you were the prize of the lot. No lawless blunt trauma on the dusty sidewalk cement for you, sweet Durian. That bravely shielded you in your early days as you awaited your fate. But still you hide a final but useless defense- a last attempt to save yourself. So that to his profit, others might feast on your inner delicacy. You would be, precious Durian, an unacceptable final insult to the hubris of your Hanoian hawker. Another piece of the puzzle…..this is for the people I love……my kids! While watching a very special series….a Swedish/Thai production, I came out of it needing to share the following advice. Let each word of this enter you. Take some time to be mindful when you allow the words to sit within you. Know that I want the best for you! But remember that you can only do it once. So know what you want. If your legs twitch: Dance. If you fall in love: Love. Mindful eating…..and don’t forget tea! Many who know me also know that I take great pride, enjoyment and time to create my own meals. I like to think that I am practising mindful cooking. I choose my ingredients carefully; I notice the skin on potatoes, I smell oranges before I buy them, I try hard to be in the moment when I make decisions about what I buy that will contribute to what I will prepare. I must say that I prefer to use the word ‘prepare’ when I cook, instead of ‘make’. It allows me to be involved in the process or the means, rather than the end. So often we tend to refer to what I made, the end product, rather than what I created, which implies a process involved: the idea, the plan, the mixing and matching of ingredients, the flame, the enjoyment of the meal……and the washing up. I take my time to wash up. It’s time worth spending….I thank my pots and dishes for being there. I notice hot water. It’s been nearly 12 years since I owned or wanted a dishwasher. It’s by choice. The eating of my meal gives me great pleasure. I see my food…every aspect of it. I notice the small, almost burnt pocket in the pita bread I created, recognized it from when it was created on the hot grill where they take form. I enjoy noticing the mixture of tastes, the way the pesto compliments the pasta, how there are little lumps of sharp cheese speaking to me through the basil and garlic. I notice the small, almost pinpoint-size turmeric in the coconut milk drink that Frank prepares for me. And I smile. When I am not able to eat in a mindful way, I walk away from my meal unsatisfied. Unsatisfied not because I haven’t eaten enough, but because I have not taken the time to be mindful of my food, to enjoy peace of mind. I have learned to take time to have tea. When things get to be overwhelming at home, at work or even when I am out walking, I take time to have tea. Having tea is a great opportunity to avoid the forgetfulness which is created in the absence of mindfulness. No hurry, no worry. I can remember when I used to say, ‘now I’ll make a nice cup of tea, settle in, and do some work.’ Nowadays, I leave my work, settle on my opium bed where I have a cup of tea. Tea deserves the time you give it. The warm cup in the hand, the smoothness of the teapot, the way the tea itself starts its journey from my lips, waking up my taste buds and warming my body as it leaves my mouth. Take time to buy good tea so that the experience will be a wonderful moment. Your True Home. The everyday wisdom of Thich Nhat Hanh. It’s difficult to achieve mindful eating if your meal is in a room of happy, chatty, loud, rushed and vocal colleagues. I feel no guilt finding a quiet place to eat, which is usually outside at a picnic table. I return to the group to say a quick hello and to let them know that I know they are there and that I am glad they are there. I would rather be mindful of my friends but trying to be mindful of too many things at once leads to forgetfulness. Want to know more about forgetfulness? Read the following one-pager. It will make lots of sense to you. You might even want to be less forgetful, if that’s been your case. I feel it is time to post. I have reached an awareness that I have not known before until recently; an awareness of mindful communication, more specifically, how we speak with gentle and loving words. I will be brief, succinct, and hopefully comprehensible about mindful communication. Many people know that I read a lot of Thich Nhat Hanh, a Vietnamese Zen Master, poet, author and international peace maker, and I am learning to apply his teachings to my life. I recently sought out his advice about communication. I found his teachings about the art of mindful communication to be very helpful in how to best communicate with a friend who is suffering, and is having a difficult time understanding and embracing that suffering; an extremely difficult time listening or simply being silent. A bodhisattva is someone who can speak with gentle loving speech and listen with compassion. Anyone is capable of being a bodhisattva through diligent training…it really can be done! Just take it one day at a time. Thich Nhat Hanh has pointed out four bodhisattva guidelines for gentle, loving speech. These are taken from the Ten Bodhisattva Trainings for Right Speech. They are quite clear and make a lot of sense. Tell the truth. Don’t lie or turn the truth upside down. If you feel that the truth will be too shocking, find a skillful and loving way of telling the truth. Don’t exaggerate.Exaggeration has great potential to misrepresent the truth and takes away the trust in a relationship. Be consistent. This means no double talk; speaking about something in one way to one person and in an opposite way to another for selfish or manipulative reasons…a way to gain advantage over others. Use peaceful language. Don’t use insulting or violent words, cruel speech, verbal abuse, condemnation, humiliation, or judgmental words. This may be a daunting task for people who have learned from example to NOT follow these guidelines, but if we are to be mindful in how we speak to others, it’s a very good idea to pay heed to them. Gentle and loving speech gives our listeners the advantage to receive what we say in a way in which they suffer less. I am not going to ask you to read any more of my interpretations of mindful, gentle and loving communication. Rather, I suggest you read The Art of Communicating, by Thich Nhat Hanh. There’s lots of good messages about listening with compassion. It is not necessary to be Buddhist in order to understand……you will not be a traitor to your own religion if you follow one. If you are human, this book could be for you. Every once in a while, one must stop and take roll. Try to get back to ‘the place’ you were when your adventures began all those years ago for the summative comparison of the then and now. No matter what is on the roll list, one thing for sure is that I am starting my twentieth year living in developing Asian cities. Of course, I took a 2-year holiday in Europe, but it was strictly ‘business as usual’ and my heart ached for the sounds, smells and the sights of my adopted home. I am a sucker for jackhammers! The ting ting ddrrrrddllllll! ting ting ddrrrrddllllll! ting ting ddrrrrddllllll! of the jackhammers next door have not really been bothering me. There is construction going on along the entire side of my apartment, but about 20 cm away on the outside. The new building that I am about to introduce you to has been the focus of my kitchen window for months and months now, and I am finally beginning to see the structure of how a build goes. One can only debate the idea of tearing down the old to make room for the new. That’s exactly what’s been happening outside of Maison Ivoire, the block of flats that I call home. Times change, things happen quickly! The new hole-in-the-wall greasy-spoon that has been your ‘go to’ place for a couple of years appears to be changing wardrobe; wrapped in construction garment and I soon to be a bank….or an office…or, more commonly in my areas of the city, apartments! The ochre-coloured traditional Vietnamese home that has been my view up until last spring, when it met the wrecking team, whose goal was to bring it to the ground and clear out the lot. That’s exactly what they did! I caught on to this as an opportunity to get to know how to use my new Nikon 5300. The following is a series of photos of the first phase of the construction: The Wreckers! If you would like to see these guys in action, go to Workers in Action. Once the wreckers had had their fun, they moved on to another site somewhere and made way for the construction to begin. I was not able to properly photograph the installing of the pylons and the first supporting pillars, but once the construction got up one more floor, it was perfect! I made friends with the workers through my kitchen window and they were full or wonder as well as wonderful, as I photographed them, often printing off prints and handing them out. They loved that! I leave you these photos of the construction, as I was able to capture it as well as some regular faces; faces of workers who have been toiling in sweltering heat, driving rain and even a typhoon. The building is about to leave my view, as the construction is happening like clockwork! I will soon be faced with brick walls and new balcony windows, which will have my kitchen as their view. I hope they will learn something from the culinary field! Such is progress. I subscribe to that cliché, believe me! Living so long in cities like they are, I always go with the flow. In as much as I have been dragged in by the style and methods of construction that are being used as they build next door, I have also been mesmerized by the good people who have been doing the building. They are migrant workers, not from Hanoi. During the initial stages of construction, many of the men had set up camp in a makeshift lean-to perched along the bank of the small neighborhood lake. Once the project picked up momentum, many more workers arrived, some with women in tow. The women could easily be wives, sisters, or even mothers of some of the workers. The life of a migrant worker is one to behold! There have been many young men coming and going as the new building increases in size. The regulars are now recognizable and it is beginning to appear to me that there is an hierarchy, pecking order, if you will. So be it! That’s the way it works. I even had a chance to see the owners, but only once. They had set up a temporary temple at which the two of them began the ritual of welcoming the departed back to the home. Ancestors are extremely important, even today. The culture that oozes out every time you open your eyes in this part of the world is undeniably the most interesting and beautiful I have seen yet. It is 8:08 am, I have just recently refilled the teapot and opened my macbook. I am now ready to fill myself in on what’s been going on in the bigger world around me. Have to say, living here in Hanoi is a ‘free ticket’ to blocking out the ugly things that are going on in the world outside of my protective and beautiful bubble. I flipped through Flipit on my phone only to find the usual broad-spectrum comments being made by writers hoping to sell to more e-readers. Nothing unusual, move on! A once-around on Al Jazerra to find that the President of Uzbekistan stroked out and died, and that there are still incomprehensible, yet tragic events going on in Syria. Nothing non-mainstream, move on! I finally moved on to cbc.ca only to be stopped in my tracks by a ghastly realistic piece of news. It is the story of the 23-year-old cyclist daughter of Bangladeshi diplomats on assignment in Ottawa, who sadly lost her life to a motorist WHILE she was cycling in a designated bike lane. Such preventable personal disasters can leave heavy and permanent scars. Not only did the news shake me due to its unfortunate reality, but it makes an even bigger case for me not to be on my bike here in Hanoi. Although I KNOW I still have excellent biking skills, I KNOW that there is a gentle yet present enemy out there…..all the other drivers! I have conceded to retiring my bike while here, perhaps shipping it to Germany for future use, or even sending it home to Nova Scotia. What has shaken me so mercilessly and has delivered uncontrollable aftershocks during my chill-out morning of meditation that usually follows my weekly update of news was the following: I too, am away from home and I am in no way immune to suffering a personal catastrophe such as was suffered by the Bangladeshi family . Many thoughts keep passing through my mind. What would my first reaction be? Who would I turn to? Will I want to survive it? It is frightful having these questions come to bombard me. I don’t WANT to think about such things, but at some point, there will be a time when, overseas or not, I will have to deal with them. Somehow, I fear that being overseas whilst reeling from a profound personal crisis would be, for me, an unmistakable meltdown. It brings me great comfort to know that I would want to survive it. I love life! Move on. However, of all of the questions that I have pondered, ‘Who would I turn to?’ is the one that boggles my mind the most. The fact of the matter is that I would have no way to duck that question. My preference of question would be, rather, ‘Who would I want to turn to?’, and an equally important follow-up question would be, ‘And how quickly will I be able to turn to them?’. I get scared at times about such thoughts. Don’t let that shatter any kind of preconceived notion of my strength or indestructive being. I am human…….about as human as anyone else………… Almost as human as YOU. The impact of this article will be with me all day, I’m sure, but I will be present in those moments and will try to understand what possible positive result can come from it. Somehow, this is my photo for the day. I like the interior funneling of the framing and the two fisher-dudes. What madness brings the dark clouds? Dare they think of it?